Designed for on stage use, without need for Wifi or Cellular connection. Super fast, responsive, giving results you can both see and hear. Designed to be offline for practical use on stage. No Wifi or Data needed. 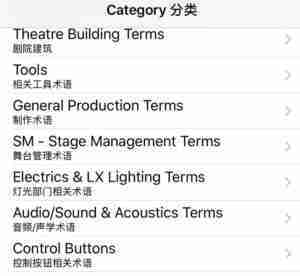 Searchable list of over 6,900 theatrical terms in both English and Chinese. Copy & Paste any term or have them spoken to you. 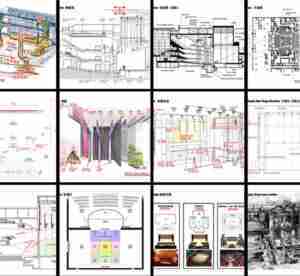 Over 300 floor plans & theatrical images for visual reference. This offline self-contained app is the first and only app to support theatre in China. It is useful for touring shows, concerts, musicians, producers, technical, performers and theatre crews to achieve common understanding with budgeting, contracts, marketing, technical production, living and general support terminologies. Thanks for the super fast response on the speech settings! The app is incredibly useful. 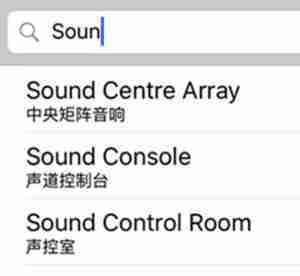 It saved us thousands in translation costs for our tour of China, paid for itself in the first 5 minutes on stage at the Shanghai Grand Theatre. Best value ever. Can you make a European version? 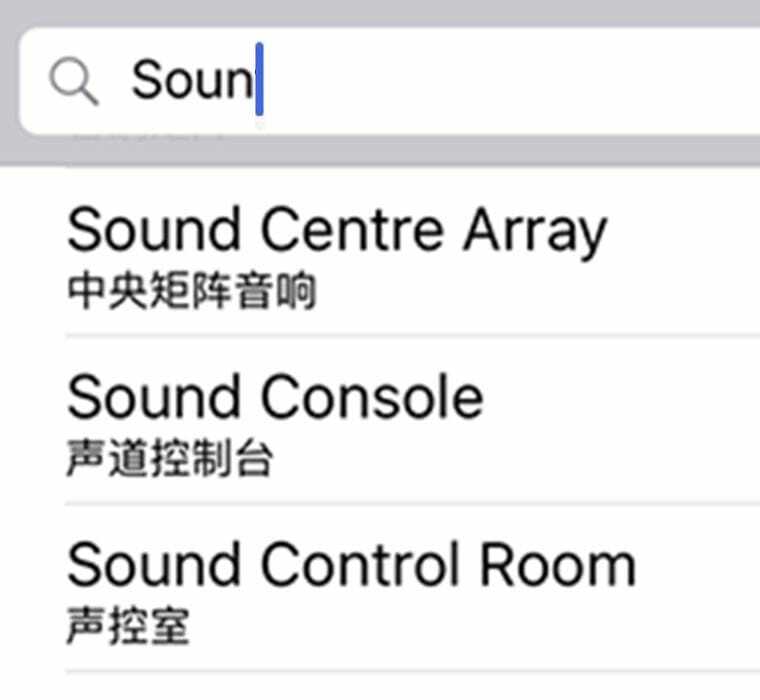 THANK you for a brilliant app that helps save time and money — made China so much easier! Why did nobody think of this before I wonder? 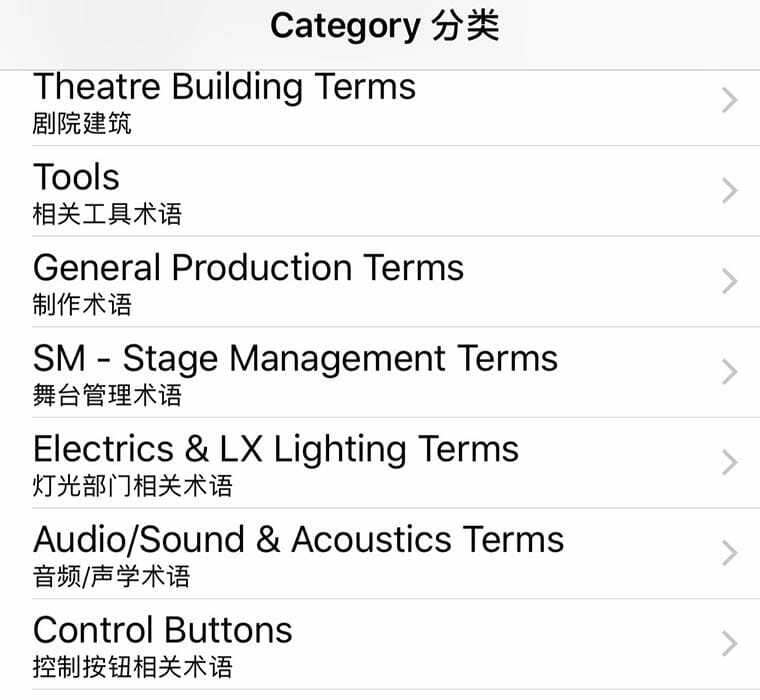 Theatre Terms is a practical reference utility for theatrical professionals and interpreters to work in theatres in China. 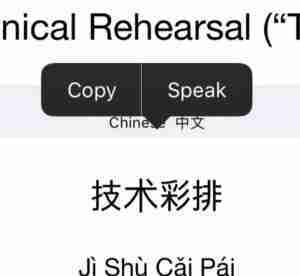 Providing thousands of stage terms in both English & Mandarin Chinese, along with over 350 visual references to assist in communication. 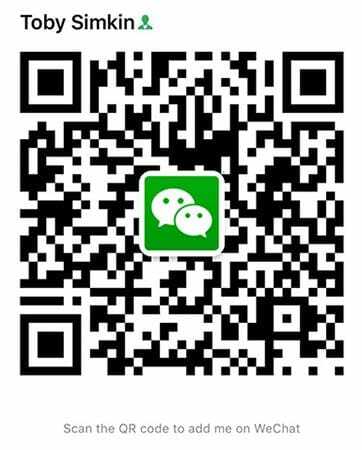 Recommended theatrical & Chinese websites. 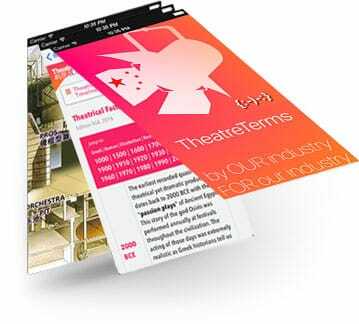 Theatre Terms app programmed by Lee Jung Woo 이정우, Creative Partners. 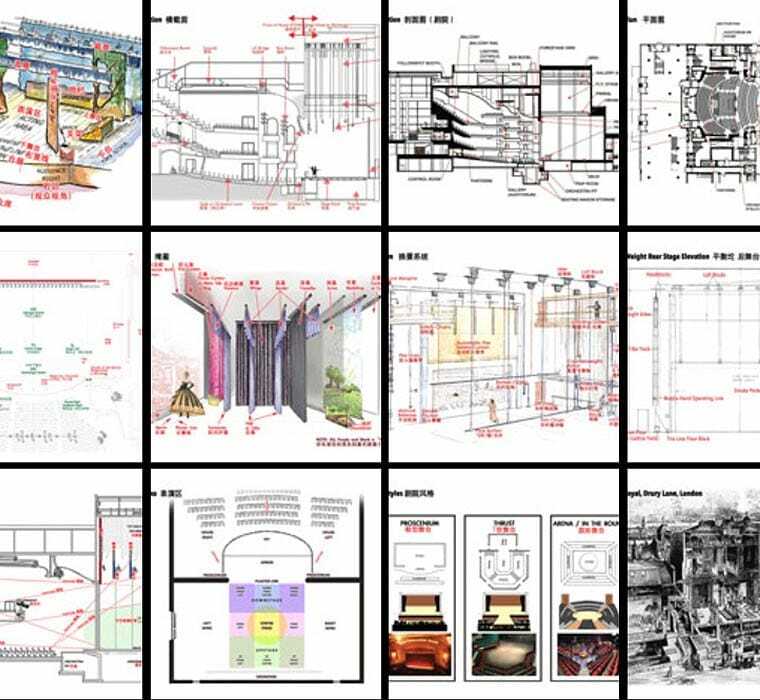 With grateful appreciation for the research and translation assistance from Dikei Wu, Chen You Kang, Wang Chao, Wenyong Yan, Alex K. Tsou and the crews at the Taipei National Theatre, Shanghai Grand Theatre, Hangzhou Theatre, Guangzhou Opera House and The National Centre for the Performing Arts (NCPA) developed since 2003. Requires iOS 7 or later. Compatible with iPhone, iPad and iPod touch. 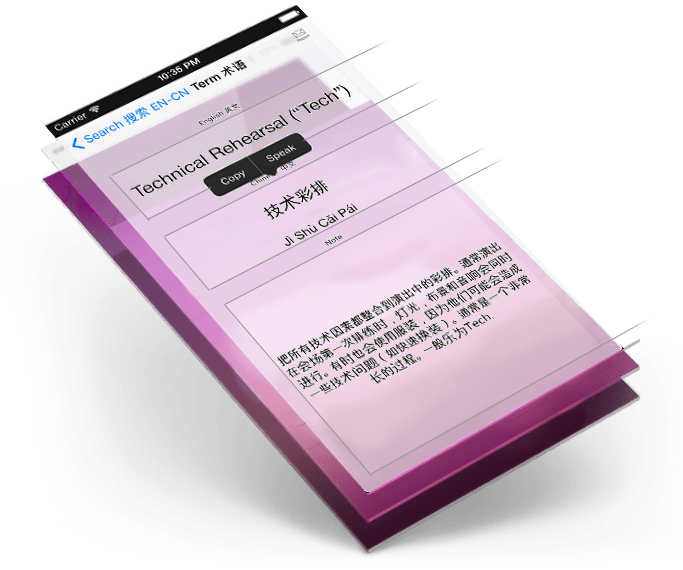 This app supports iPhone 4 and is optimized for iPhone 5 and later.